Art Matters is the new social enterprise run through People Matters, and funded by Leeds City Council. It consists of two groups of eight artists, who meet on a weekly basis to learn new techniques, develop business skills, express their personal style and ideas, and be part of a thriving creative environment. 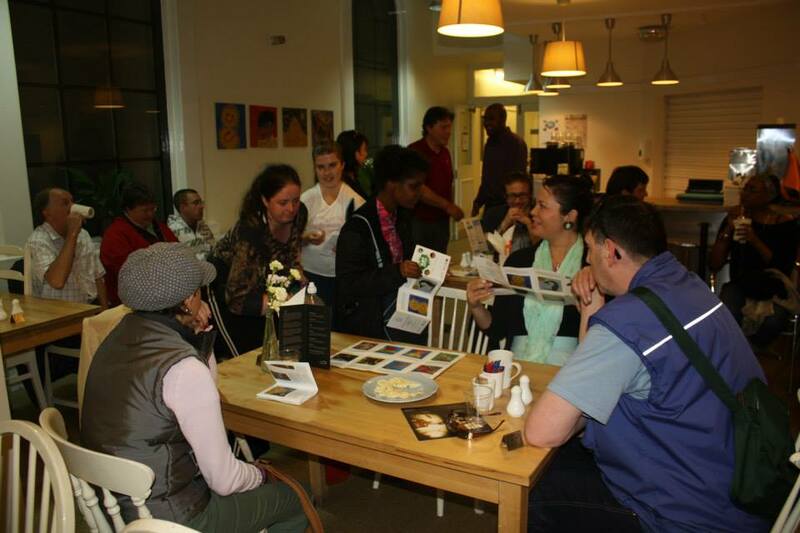 We had an event in October to launch our new enterprise, which was a part of the Love Arts 2012 festival. We also exhibited our artwork in the Light shopping centre for the festival, which gave us the opportunity to network with likeminded individuals and groups. 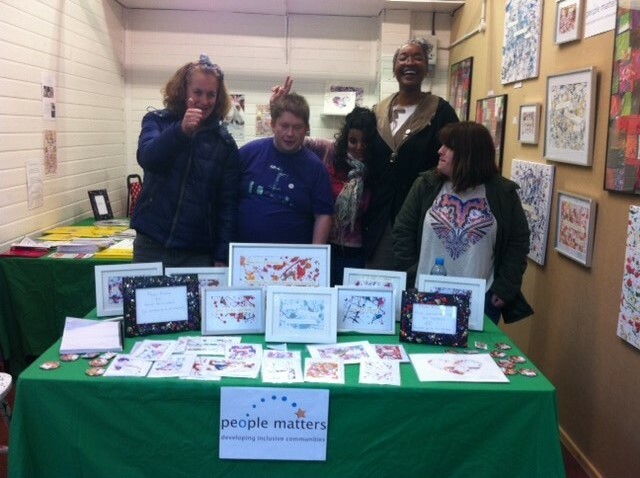 Since October 2012, Art Matters have been selling some of the artwork we make at Fabrication, a pop-up shop in the Light which sells an array of homemade arts and crafts, as well as at our own events including our AGM and Christmas Shop Day. Art Matters were commissioned by Sensory Leeds to create a bespoke piece of art for their entrance hallway in May 2013, who also hosted a private view for the group with tea and cakes. 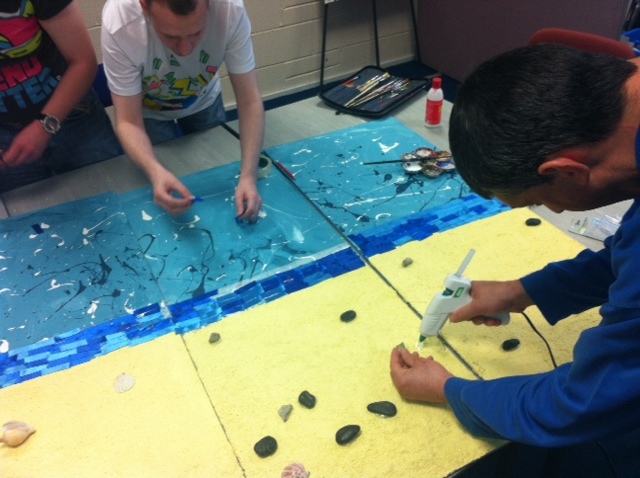 Visitors said how well they thought the artists had done in achieving a sensory piece of art, which used tangible materials such as sand, silk, shells, buttons, and paint. Art Matters were granted some funding through Leeds Transition Funding, which enabled the group to design and print an illustrated booklet to use for publicity and to recognise each individual artist’s achievements, and which also enabled us to produce a range of beautiful greeting cards to sell. We later received a further two commissions from Shackleton PR, who requested some nautical themed artwork for their offices in Leeds. This enabled Art Matters to fund a Private View for their annual art exhibition, providing refreshments to its visitors. 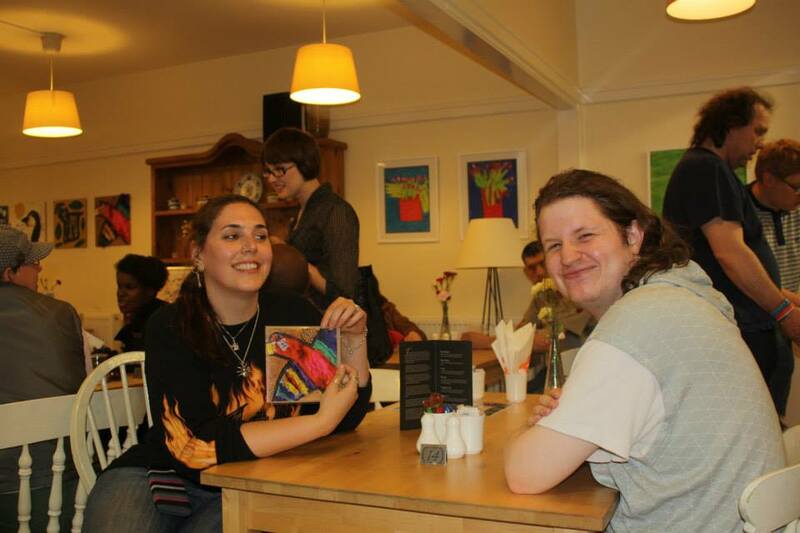 On June 17th 2013, Art Matters had their own private view at Holy Trinity Church, with the exhibition running for two weeks. The artwork on show included a varied range of images, from; a colourful parrot made from feathers, dried peas, mod-rock, bubble wrap and paint on wooden board, several framed still-life painting of tulips, a portrait of Bob Marley, and some energetic and expressive ‘Jackson Pollock’ style abstract paintings. All the artists who attended received a certificate for their hard work and commitment to the course, with one artist gaining special recognition for his 100% attendance record. 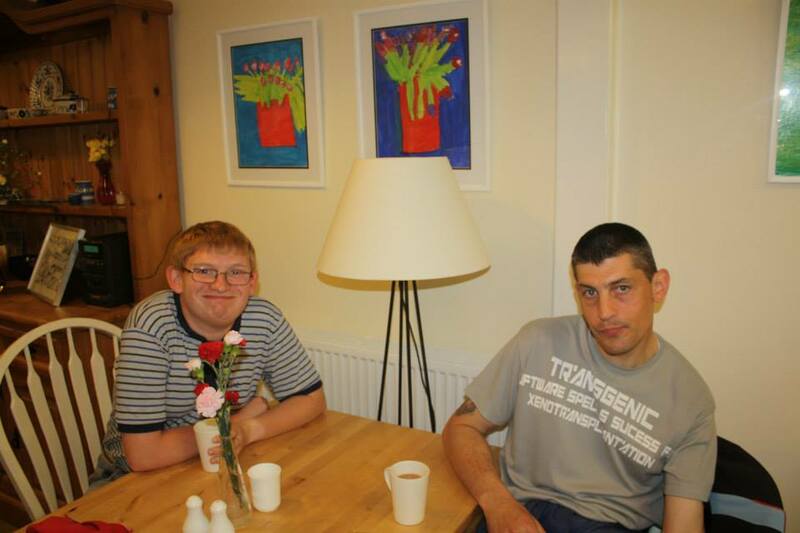 Special thanks were also made to the teaching assistants and volunteers who contributed throughout the year. Several artists made personal speeches thanking those who had supported them to achieve their goals. Art Matters managed to sell many greeting cards and also a charming painting of a giraffe made from mod-rock on wooden board. Visitors gave their feedback on luggage labels, describing their experience of the exhibition. The feedback received was delightful and immensely encouraging, many comments were made on how high the standard of work was, how talented, friendly and informative the artists were, and how well organised and atmospheric the evening was. Artists said how they felt proud and happy to see their work on show and to hear the positive comments being made. 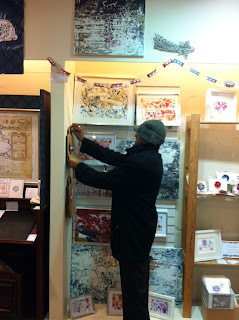 Many original artworks are kept by the artists, with the designs often being used for re-production. All proceeds made from sales throughout the year stay within Art Matters and help fund our events and artist trips and cover the cost of our high quality materials. Our next artist trip is planned for July, and the artists have voted for the Yorkshire Sculpture Park, where we will armed with our sketch pads, pencils, and of course a picnic – let’s hope the sunshine sticks around for us! If you would like further information on Art Matters please email alexa@peoplemattersleeds.co.uk.